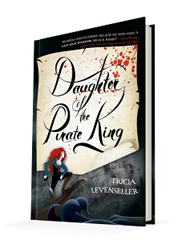 Published February 28, 2017, by Feiwel & Friends Daughter of the Pirate King by Tricia Levenseller is her debut YA novel with fierce pirates and an even fiercer red-headed pirate princess with special powers and tons of skill. 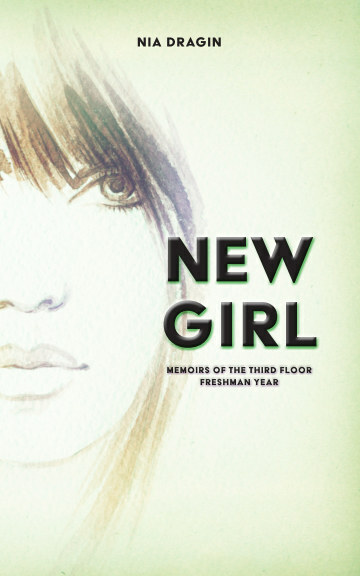 It is hard to believe that this is a debut novel because the style of writing and the freshness of the story itself is both strong and unique. There have been several stories about Sirens, and just as many about pirates but a half-siren pirate captain, a girl in charge of her own ship. She is a young girl who plans her own capture at the behest of her father to get a piece of a priceless map. It is fun and quirky, but there’s also a level of darkness to the tale that gives the story a level of the dimension. It is, after all, a pirate tale, and pirates are dark characters. The mixture of comedy and sarcasm in the novel makes the reading quite enjoyable, coupled with the fiery characterization of Alosa and the character dynamics. It is a fun story but also very straightforward. There is a clear direction for the story but also bits and pieces of intrigue as far as the characters are concerned. There is a piece of dark history to these characters, and it is given to the reader bit by bit. They do not weigh down the story and instead add some dimension to the storytelling at integral points in the story. This also helps to form chemistry between the characters. Their dynamics are vibrant, and the internal narrative is thoughtfully structured in a way that the reader gets to know the character, her history and how that history influences how she works and thinks. It is not a terribly complicated plot line but it does tell a story, and it does focus hard on bringing these characters to life. It is fun, and Alosa is such a fiery character. There is some tightness to the story however regarding the romantic aspect of the story. There are times when the scene structure losses some fluidity and the sexual tension comes across as forced. It is slightly forgivable because the dynamics between the characters grow into something amusing to read. It is fun to see Alosa play with the minds of the men, but sometimes that can alienate the reader because her tone and attitude are a little standoffish.